As we approach December, the majority of us will begin to clearly see, even in our physical timeline by the loss of gravity and many other events, the first signs of our current bifurcation from Old Earth, recognizing soul separation, in ourselves as well as in the people who surround us. It is essential for us to distinguish lifeless energy from the ones who are aligned with the Divine Force. 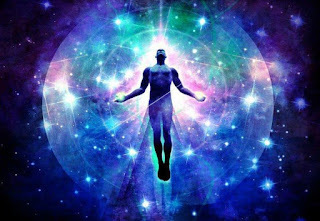 It is a very challenging period for those who are not standing firm in their soul light essence and truth, for they will begin to realize how their matrix begins to crumble, feeling lost and hence maintaining an attacking/defensive position. This is why discerning what is real - from other old forms of illusions - is pivotal for us to remain in the timeline we have consciously chosen, for this new phase of our ascension journey. We began this new energetic month with some important planetary/cosmic events, although everything is important, as you know. But as you know, I have shifted the way in sharing and I do not put focus on the astrological aspects I consider fixed and linear, whose meaning will not vary. However, during this month, there are aspects which are worth mentioning, that are happening for the first time in years, or that are beyond our Galaxy, but that are occurring to assist us into our cosmic transition. The Full Moon in Aries, on October 5, marks the beginning of the final transition that will continue until December. At this time, we have seven Planets in Cardinal signs, the Moon, Aries, The Sun, Uranus, Jupiter, Pluto and Mercury, this is a cosmic confirmation of the new beginning that we, as well as our Planet, is experiencing. The macro reminds us of the importance that standing tall is in who we are, and the power we have at this transitional period. It is a time to act according to what we think and feel, and a time to finally be our own leaders instead of relying upon others. Oppositionally, the Sun in Libra, will put the balance - key at this phase - required between taking too much action and being too independent and our sense of communion with All and in being of service. Setting your highest intention, aligning with this frequency and acting accordingly, which is something in which sometimes people tend to fail, is essential while we keep navigating between unknown realms to maintain a higher frequency. There are two other aspects which I consider very important at this time, and that are not fixed in nature as other aspects may be. First, the semisquare between Uranus and Neptune, whose frequency will remain with us for a while, for this has not occurred since the mid 60's and it is a sign from the macro of the great revolution that is taking place both within and without the Planet, as we shift timelines. If consciously integrated, these frequencies, revelations, and the so called miracles - which in my view, are a natural manifestation of our perfect alignment - will take place, for this is the way the macro has to inform us that we are finally breaking free from an old micro and macro cycle. Secondly, there is another aspect worth mentioning, the opposition between Jupiter and Uranus, whose effect will keep lasting for all the rest of this year. This is important for it brings not just growth and expansion but the opportunity to create the necessary change we are so eager to see in the physical. Uranus' power can be used not just to destroy but to build from the ashes of the old, we just need to direct our intention in a constructive way, instead of becoming mere victims of the conditions,circumstance and/or energies, which simply are, they by themselves are not causing anything to any of us, unless we integrate them and direct their essence into the purpose of creating or destroying. Both choices, as you well know, are highly respected within Creation, one just has to choose. Beyond our galaxy confines, we also have other cosmic forces helping us into our process of self-liberation from the old. We have the Fixed Star Alpheratz, belonging to the our nearest Galaxy Andromeda at 14°33′ Aries , and on the other hand, the star Algorab who belongs to the small Constellation of Corvus, who is said to bring destruction, which to me, is simply the ending of what is not working any longer in our lives, of what must be dissolved. These stellar frequencies received from these cosmic portals - special cosmic alignments happening to open a no time/space zone so these frequencies can be conduit into our Planet - are conscious light codes, they are coming through these portals, and not just in one day, for this is limited, but for a few months, to help the Planet, as well as the ones who have decided, to raise into this New 5D Timeline, to end with an old cycle of enslavery. This is where we are now, destroying old worlds that once served a purpose for us to grow, releasing an old egoic self and beginning to plant the new seeds and strong pillars of our new life in a higher dimensional space. Andromeda, is a Galaxy who is very involved in the assistance of our Planet. They are already dwelling in constant change, for their reality is not a fixed and linear one, as is ours. They have to be constantly adjusting to change as we are beginning to do. This is why they feel the call to serve humanity, as we too begin to shift in form, even if this change will not be evident yet - in thought, and even in physical location. The energies in itself do not help us if we first do not do the inner work required to release blockages, stagnant energy and allow the new one to be integrated. It is important that we all become neutral observers, for a lot of people still live in delusion - allowing their 3D personality to own them - which is perfectly fine, and another choice, we all need out time to see for ourselves where we are, what must be shifted and healed. However, being in this state of mental confusion, and what is most important, not being able to have the insight to see it, brings many energetic attachments that are impeding us to heal, grow and ascend. I was guided to write about what many of us are already seeing, especially in our loved ones, or friends or simply others, who are not yet choosing to evolve. This is not the same as soul retrieval, for by soul separation I refer to the the ones who have unconsciously, in the majority of times, allowed other energies/beings/entities to occupy their bodies. This occurs when we have only embodied a small part of our soul, for it is then when we all become more likely to lose all consciousness. There are people that are disguised as being "spiritual" (I put it into commas because we all come from Spirit) who are serving as a conduit of darkness. There are some people, especially the ones who are beginning to awake, for at this time in the Planet there is occurring a mass awakening, even though some of the chaos may point in another direction, who are feeling that they are not yet able to discern whether they are making authentic and integrated relationships or whether they are being manipulated. Programmed repetitions - often manipulated to program others with 3D beliefs. Acting without integrity and responsibility. Trying to impose one's beliefs on others. We all must walk our own journey, if we need to release old beliefs or half-truths no one must interfere, we will realize it in our Divine Time. Being easily irritated/angry - especially when one does not resonate with their beliefs. Thinking they know/see/feel more than you about your own path and being and/or personal experience. Be also very aware of their behaviour when facing situations in which using compassion is essential. Speaking badly about others. And no, it does not matter what you think others have done to you. If you use it to criticize them, then, your act in itself is already speaking to you and telling you where you are. A conscious being will allow himself/herself to feel every state of being, but will not dwell in it for long. Addictions: These beings whose soul is fragmented, will tend to share about ascension, read, and try to show you how "spiritual" they are while they are poisoning their bodies not with just lower food but by many drinking habits, between many other drugs. As you know I am not saying you must be Vegan or otherwise you are not ascending. I am simply saying that one cannot really embody a higher level of consciousness within a weak and toxic body and/or with a toxic mind and unhealed emotional body. Some of them will make their "mission" to talk about others, by disguising it as "telling the truth" when we all know this is the ego, being jealous, believing in delusions and above all, they are the ones aligned with the dark forces, allowing them to use them for their manipulative tactics. Some of them will create youtube channels, write about it, anything that will keep feeding their negative polarity beliefs. When one must speak about what is happening, as it is my case, one does it with respect, not wiht lower words, not by being angry between many things, because when one resides in love, one does not need to use names or attack anyone, for one knows these peple are simply being used - as empty corpes - by the dark polarity to serve their purpose. Being informed, mainly by own guidance, is essential to be able to discern. Saying they can heal you and make you whole again. No one can ever heal you, just help you to heal, for the light power to do so is within. No one can have more power than you to do this. This is another form of manipulation, and I do believe in healers, in the integrated ones who do not manipulate and try to get advantage of where you are to succeed in their egoic tactics. We are all here in a constant and eternal dance, we all need assistance from each other, we all need confirmation and guidance, but not if this is not done with a conscious mind and with the proper purification and Divine connection. Violation of your sacred space - reading/manipulating energy and disguising it as helping you. I would like to explain the delicacy of some of these people to manipulate others with their false view of reality and lack of respect towards others. There are some people who say they can read energy, they "do" this without any integrity and respect, for as many of you know, one thing is the first reading we all tend to feel, which is not the same as judgments, of the people we meet or are in contact with. They make a profound energy reading of someone, using their dark tactics to use you and manipulate you, especially by making you dependent on what they see or not. These beings will tell you anything, from trying to put you in fear, by telling you that you have been possessed, when it is the opposite, by telling you they can see in you something you cannot yet, by their lack of respect, humility and unconditional love for your unique journey, and by literally going against the Universal Law Of One, for as many of you know, one never enters into the sacred space of another person, and less without their permission. A truly empowered, authentic and integrated being, who is able to envision more than what we see in the physical realm, will never interfere in your unique growth process. A conscious being who is coming from a unified space, will never read your energy, for we all know this violates our sacred space, between many other things. A conscious being will not tell you that he/she is doing it to help you. Have you requested their help? Have you given them your permission? If not, the answer is very clear. If yes, then you should discern to whom you give your energy/power and why you would allow others to manipulate it. Some of these beings who are living in a state of soul disconnection will never be aware of where they are, there is no point in trying to help them. The only and best thing to do is simply to walk away in love and in total respect for what they have decided to experience. This is not a negative post, as some would like to label it, this is meant to bring clarity to All, for I am often asked about all this, consciousness, information, and most of the times based on personal experience. This is for you to discern on what is happening within your own human experience. This is more important that sharing about the astrology, for example, for this meaning is fixed, on the contrary, what is truly important now is to be able to bring light on what is occurring, discerning and becoming aware of the many manipulations and tactics of those who have chosen to serve the dark polarity in many ways. One must be fully present and in neutral observation mode to be able to clearly know when we fall into our 3D egoic personality traps and when we remain in our Light Essence, without judgements, with love, with compassion. This is not easy for sometimes we tend to defend and explain ourselves, which is again egoic, and perfectly fine, for we all are constantly learning on how to become fully sovereign and empowered beings, and everything that happens that seems to lead us into the other direction, is to teach us more humility, love and compassion. Acting with integrity - as one thinks and feel. Respecting the ascension journeys of others - and respecting where individuals are within their own journey. Guiding/sharing by informing from their own soul/Unified Self guidance - not by what they read and make theirs, not by what they were taught, but by their own soul/Unified Self guidance. Setting healthy boundaries instead of becoming too obsessed with self-protection, negativity etc. Vulnerability if well embraced, makes us stronger. If one remains in one's power and strength, one does not need to be constantly trying to protect oneself or fearing what could possibly happen if one interacts with lower frequencies. Never imposing one's guidance on others by sending constant messages, making propaganda about them or what they do. Authentic conscious beings simply be and do their mission in simple and humble ways, in their own sacred spaces. There is no need to force our guidance on anyone for we know the people who are meant to co-create with us; will come at Divine Time. Assisting without losing one's power and health when one feels one can do it, instead of walking away at the first negative situation one sees just because it can affect one. We are not here to be isolated in mountains, as old gurus and isolate ourselves of others just because they resonate at a different frequency, this is, again, separation, but to consciously help others too in many ways. This is separation, egoic and not true and conscious assistance. Assistance without interference. A truly empowered conscious being - coming from a space of love and unity - will never interfere in your journey. They will clearly see, feel and know but they will not come to you to tell you what they feel, for they will respect your free will to remain in the frequency you have chosen, no matter if this resonates with them or not. There are a lot of people out there, guided by their 3D egoic personality, as well as many other dark forces, whose main aim is to tell people what they think of them, they like to help them without being asked, simply because they think they can make them change or make them better or simply make them as they are. This is the highest form or manipulation. When you see this, this is, again, why it is so important to be always present in a state of neutral observation, walking away - and setting strong boundaries - will help you not contaminate yourself with these lower frequencies. Energy speaks louder than words, energy precedes you, there is no need to read further, there is not need to violate anyone's sacred space. Let the darkness be. Let it do its work, for within this dualistic Universe both forces are necessary for us to know what Light feels like, for us to remember our True Essence. It is all part of the cosmic dance we agreed to experience. Do not fight the darkness, instead remain - always - in the illuminated Presence of your God Self, spreading your unique spark in your special way. It is not by fighting anything or anyone that darkness is finally embraced, but about our lack of judgement, and appreciation for All, that we can finally move into a unified space. Fear nothing. Choose to grow within Divine Love, and you will be able to see beyond human illusions the true nature of existence, and be finally able to get rid of the wheel of illusion, control and manipulation in which you have been dwelling for eons. When you choose to only serve the path of unity and unconditional love, no one can dim your spark, for the frequency in which you remain now is no longer in the same range that the lower ones. Now you have finally become the LoveLight being that you are. Now you are free. Now there is no need to fight anything, for the only thing to do now is just to BE.